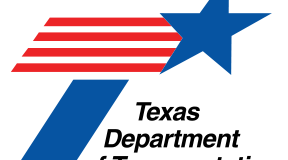 Beginning 8 PM Friday March 22, 2019 and ending 5 AM Monday March 25, 2019 outside lane of IH-45 northbound will be closed near the Montgomery and Walker county line to south side of FM 1375 over pass, weather permitting. Also the FM 1375 northbound exit ramp will be closed on Friday, Saturday and Sunday nights from 8PM to 5AM. This closure is for motorist and worker safety while placing temporary detour pavement on IH 45 northbound. Drivers should reduce speed and maintain safe traveling distances between vehicles and be prepared for extended delays during this closure. Northbound IH-45 lane closure will be in place to allow TXDOT to construct the temporary detour pavement for the future traffic shift on the next phase of IH 45 construction. IH-45 will be reconstructed to pass over local roads (including FM 1374 and FM 1375) to increase public safety by reducing any interference with IH-45 traffic due to future bridge maintenance and to eliminate the damage caused by over-height loads. To alert drivers to the lane closure, changeable message signs will be placed near the northbound lane of IH-45 beginning one week before the traffic switch. The speed limit is reduced to 65 MPH throughout the limits of the project.